Health researchers from Southampton have been given £9million to help them tackle some of the South's most pressing health problems. The investment from the National Institute for Health Research (NIHR) will help make sure patients benefit from innovative new treatments and techniques which could revolutionise future health care. It is hoped the financial boost will also help stimulate the research economy and attract more research funding in the future. 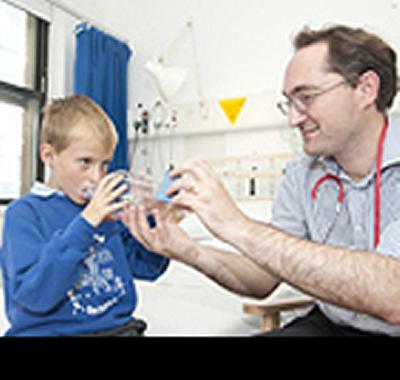 Researchers from the University of Southampton and University Hospital Southampton NHS Foundation Trust, along with the Wessex Academic Health Science Network and other local NHS partners, have formed the NIHR CLAHRC Wessex and will start work now and spend the next five years working on their ground-breaking projects. The research will aim to identify variation in outcomes, improve diagnosis, identify deficiencies in care, improve assessment and reduce antibiotic prescribing in respiratory care. Work will also be done to improve the nutrition of patients in hospital, early detection of liver disease and reduce hospital admissions. Professor Jessica Corner, Dean of Health Sciences at the University of Southampton and Director of the NIHR CLAHRC Wessex, comments: “This is a valuable investment which will enable us to develop and improve the care that people across our region receive. Institutions across Wessex already have a good track record of working together to improve the health of the local population. This is an exciting and important opportunity that will enable us to continue that good work to drive our health services forward. NHIR CLAHRC Wessex is one of 13 research teams across the country to receive funding. £124m in total has been distributed. Lord Howe, Health Minister, says: “This is great news for patients – this funding could potentially help the development of ground breaking treatments which could revolutionise care. With a growing elderly population, the need for innovative and effective solutions has never been more important. The NIHR CLAHRC Wessex comprises: University of Southampton, University Hospital Southampton NHS Foundation Trust, Wessex AHSN, Wessex Inclusion in Service Research and Design, NHS England and Local Area Team, nine Wessex Clinical Commissioning Groups, Health Education Wessex and nine NHS Trusts.